Pantec hot-foil embossing systems integrated into web presses allow manufacturing packaging with complex foil designs in single pass. Pantec in cooperation with GEWA Etiketten offers an open house during DRUPA. 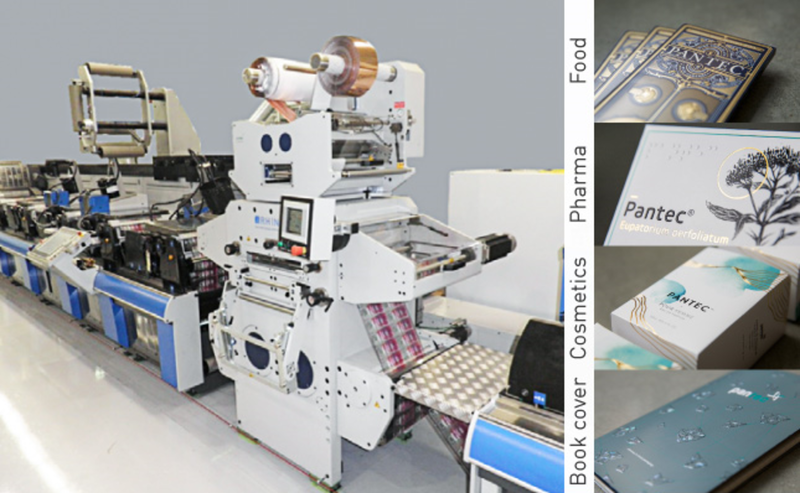 To show-case how luxury packaging can be manufactured in-line from the blank substrate to the finished pack Pantec GS Systems offer an open house on June 3rd and 9th at GEWA near Frankfurt. Participants will see the combination of printing (offset, flexo, screen printing) and high end refining (foil & micro embossing, debossing, security features, die cutting) all in single pass from the blank carton roll - the future of luxury packaging!